While some people don’t mind seeing foxes, rats, mice or snails when they look out of the window, others would really rather keep them away. But short of living in a hermetically sealed bubble, it’s almost impossible to prevent unwelcome animals visiting your garden completely. 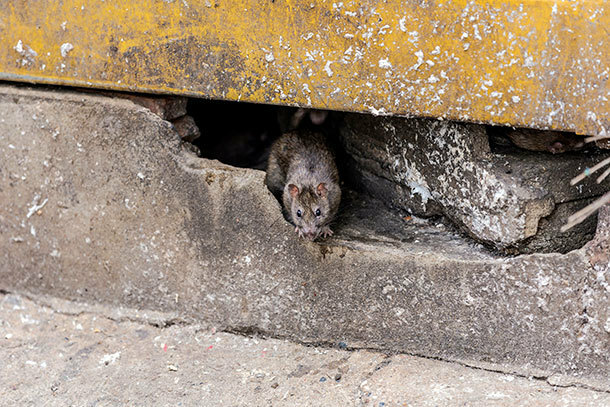 While local councils used to offer support with pest control, it’s now much more common for them to outsource these activities, and some have closed their pest-control departments altogether. So we asked our Which? Trusted Traders-endorsed pest controllers for advice on dealing with some of the most unpopular garden visitors. If you need to find a pest controller, Which? Trusted Traders endorses businesses throughout the UK. All our endorsed traders have passed our rigorous assessment, to ensure they will treat customers fairly and work in line with the latest regulations. Unfortunately, most people will have rats in their garden at some point, and there is little you can do to stop them entirely. However, you can make your garden less attractive to them. 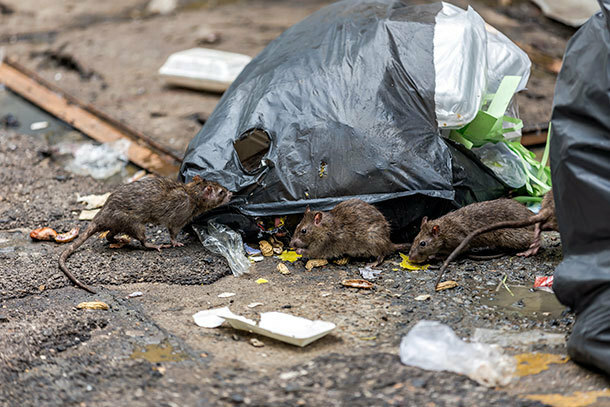 Rats like places to hide and a regular food source; they are omnivores and will eat almost anything. Concrete under your shed. Block any access underneath your garden shed – it’s a favourite place for rodents to nest. Having a concrete base or burying wire around the perimeter can help. Keep bird food at a height. If you like to feed birds in your garden, make sure the food is up high on a table where the rats can't access it. Remove easy food sources. If you have pets, then keep their food in sealed containers and don’t leave food out overnight. If you eat outside, ensure you clear the area thoroughly afterwards. Don’t use black bin bags on their own - ensure all waste is enclosed within hard plastic bins. Use a solid container for composting – keep it free from food waste that has been heated. Stick to composting egg shells and vegetable matter. Remove hiding places. Keep your garden open and leave plenty of gaps in planting. Find more gardening advice from Which? Trusted Traders. Poison is the standard method to get rid of a rat infestation. While it is possible to buy rat poison at DIY stores, our Which? Trusted Traders wouldn’t recommend tackling it yourself. Many people won’t necessarily put it in the right place and, if used incorrectly, it can damage other wildlife, birds or pets. When poison is used incorrectly, it can build up in the ecosystem. ‘Around 80% of wild barn owls have traces of pesticides in their system,’ Philip added. Which? Trusted Traders has endorsed pest controllers in your local area if you have a problem with rats in your garden. Foxes are another type of unpopular visitor to some gardens. Thanks to easy sources of food, their numbers are on the increase. If you’d rather keep them away, cut back shrubs and bushes so there is less cover, and consider adding some prickly plants. Don't leave food for pets outside at night. Clear any windfall fruit and use roofed bird tables or feeders. Clear away any food waste that’s outside your property. A cost-free alternative you can try is a man’s urine. Put that onto the areas favoured by the foxes every few days, and this should put them off – although you might get some odd looks from the neighbours. Never use a woman’s urine, though, as this will attract foxes rather than deter them. If you have a problem with foxes in your garden or home then call in an endorsed pest controller, who will be able to advise you on the best options.